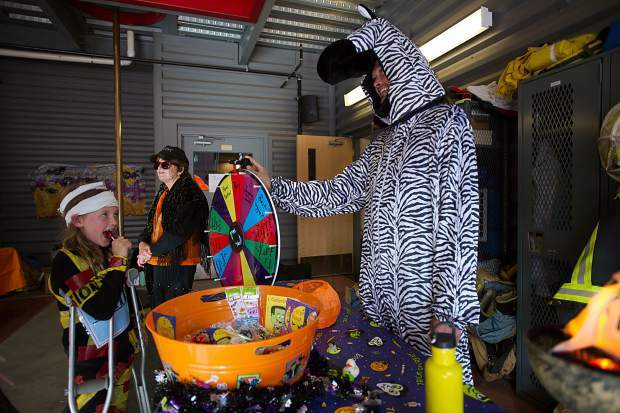 Spencer Irvin, 8, picks out a piece of candy at the Aspen volunteer fire department on Tuesday for their Ellks Lodge Hallooween "Boo Bash." 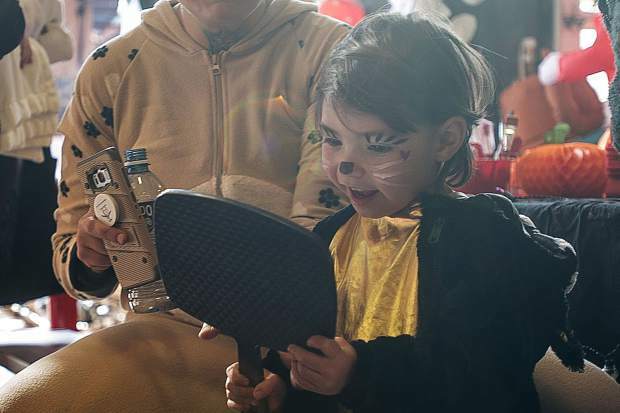 A little girl gets her face painted at the "Boo Bash" at the Aspen Fire Department on Tuesday for Halloween. 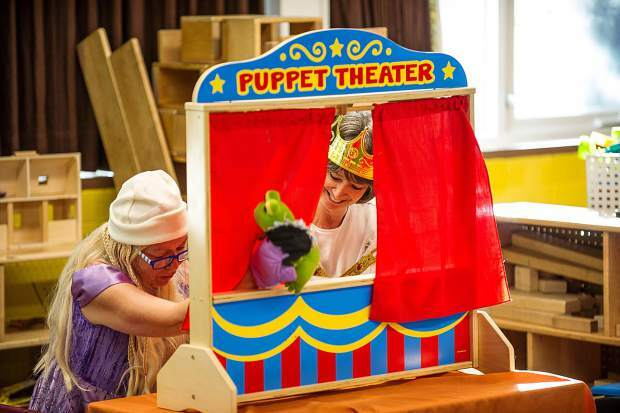 Suzanne Merrill, right, and Kathy Collins enact a puppet show Tuesday at the Yellowbrick daycare center for Halloween. 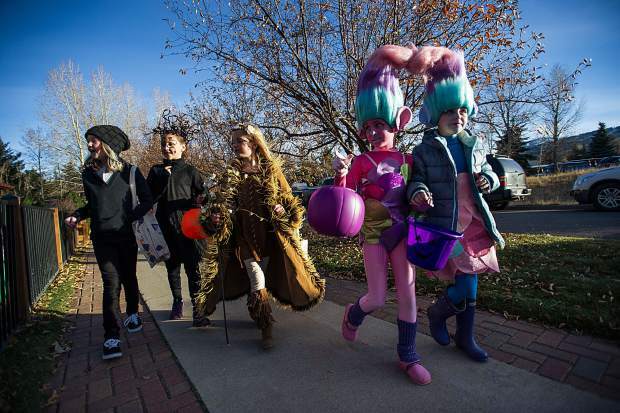 Trick or treaters on Halloween in the North 40 neighborhood on Tuesday. 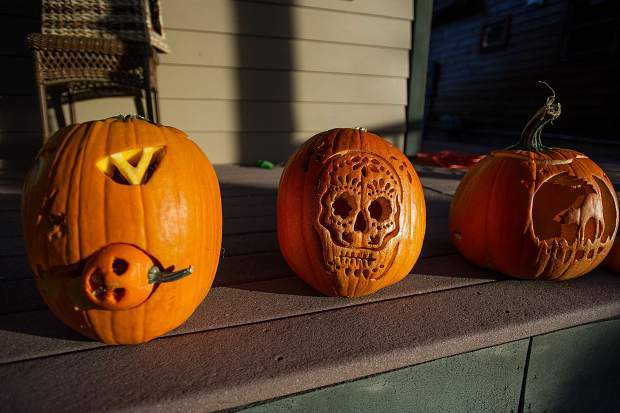 Carved pumpkins at the Hancock house for trick or treating on Tuesday in the North 40 neighborhood in Aspen. 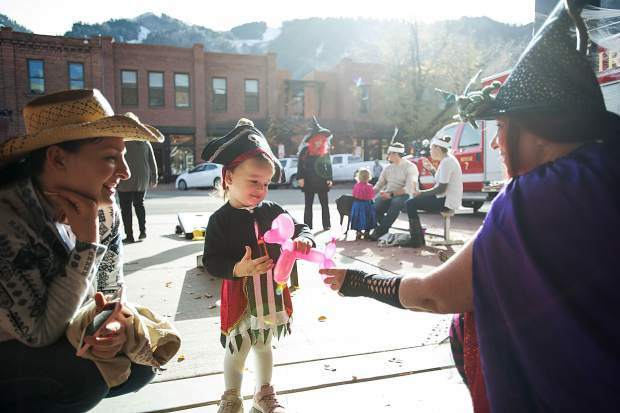 Meera Bradhan, 20 months, receives a balloon animal at the Aspen volunteer fire department on Tuesday for their Ellks Lodge Hallooween "Boo Bash." 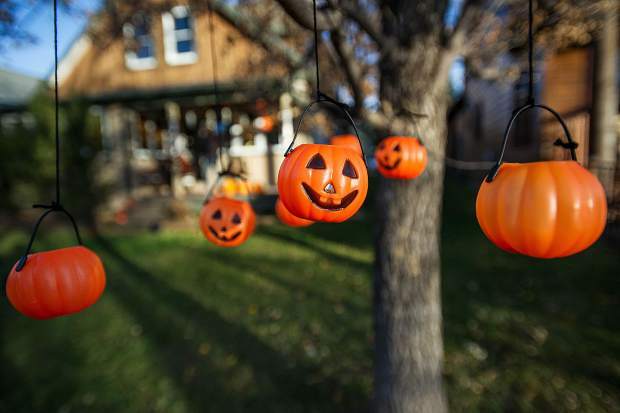 Pumpkins hang outside a tree at the Hancock household in the North 40 neighborhood on Tuesday for Halloween. 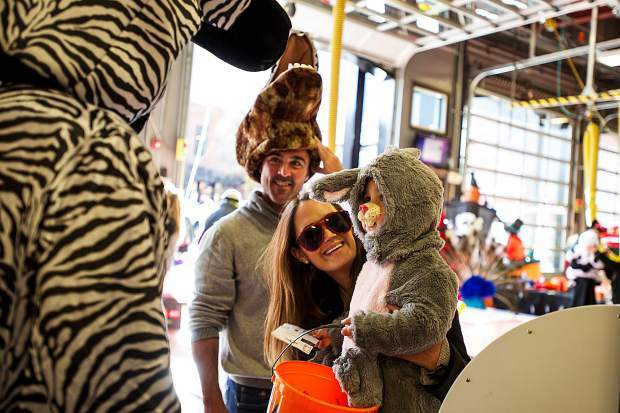 Julien Souki, 3, and his parents Erika and Karim at the "Boo Bash" put on by the Elks Lodge on Tuesday at the Aspen Fire Department for Halloween. 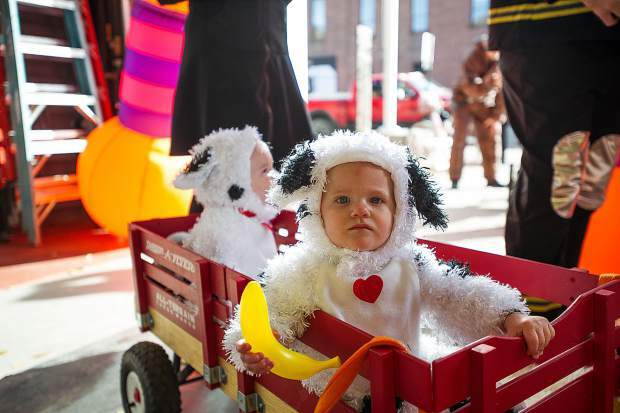 James, front, 1, and his brother Wallace are dressed as dalmations at the Elks Lodge event held at the Aspen Fire Department "Boo Bash" on Tuesday for Halloween. 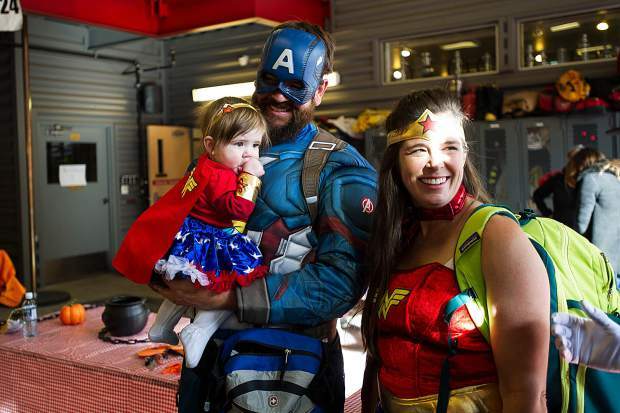 A superhero family at the "Boo Bash" event sponsored by the Elks Lodge at the Aspen Fire Department on Tuesday. 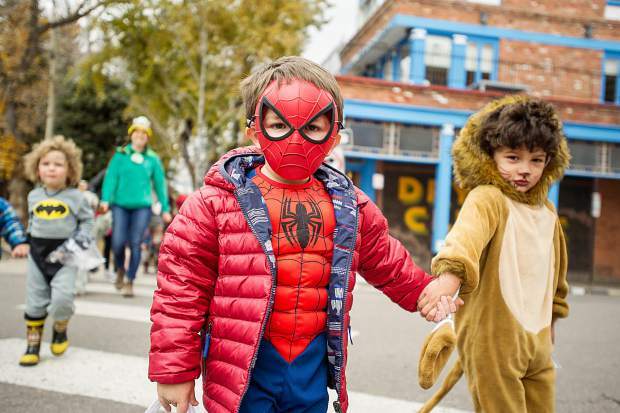 Rome Wiley, 7, trick or treats in the North 40 neighbordhood on Tuesday for Halloween. 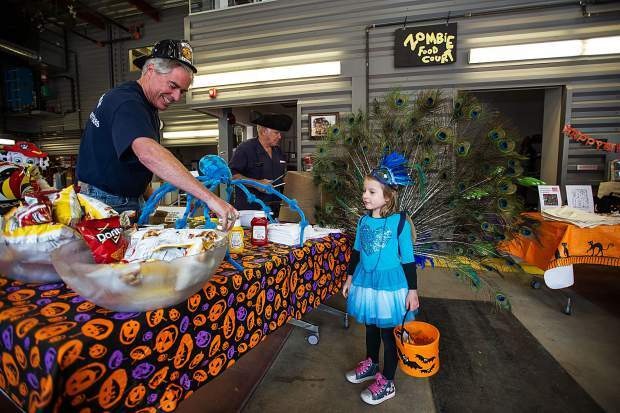 Zsofia Bartha, 4, receives snacks from firefighter Scott Arthur Tuesday at the Aspen Fire Department event sponsored by the Elks Lodge for Halloween. 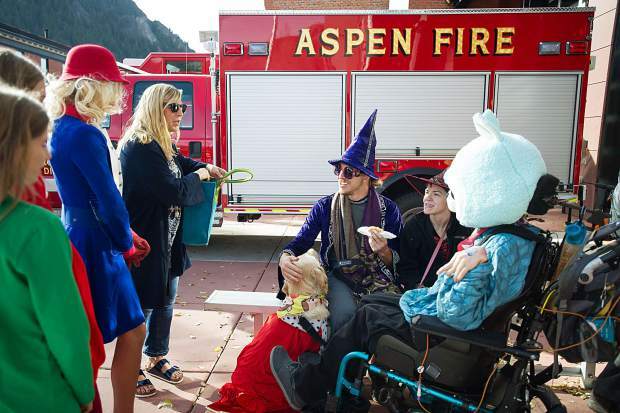 A group enjoys Halloween at the "Boo Bash" at the Aspen Fire Department sponsored by the Elks Lodge on Tuesday. 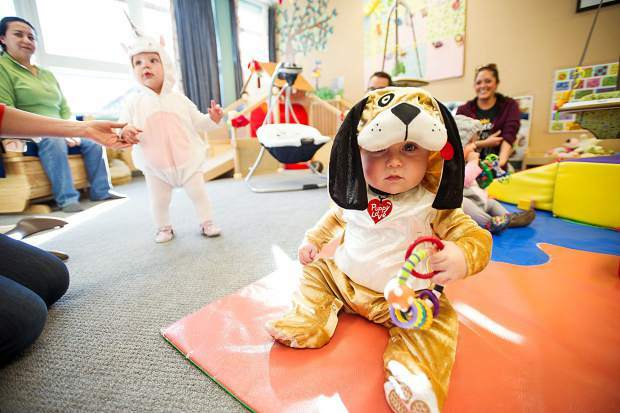 Briggs Myatt, 8 months, enjoys a party at the Yellowbrick daycare center on Tuesday for Halloween. 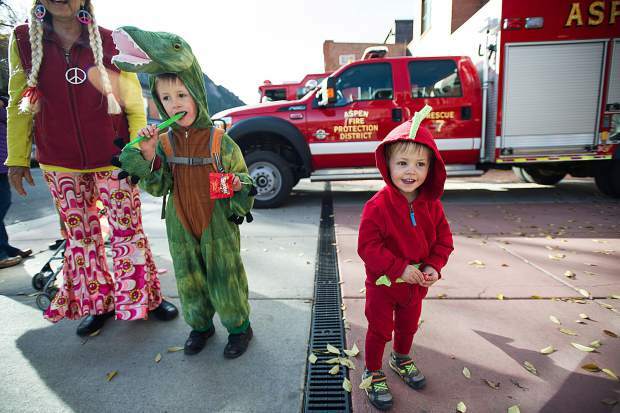 Cora Weiler, 1.5, right, and her brother Annen, 5, are dressed up for the 'Boo Bash" held at the Aspen Fire Department on Tuesday. 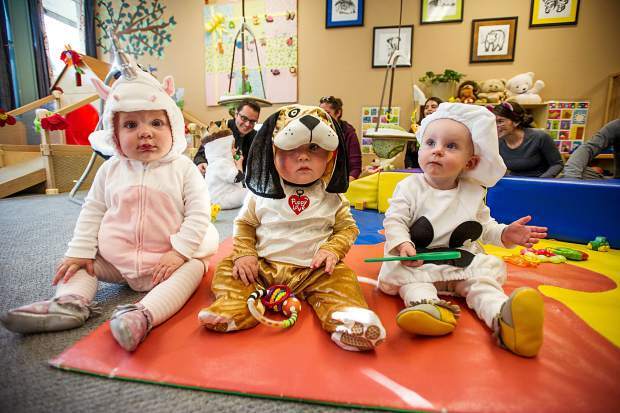 From left to right, Charlotte Janien, 1, Briggs Myatt, 8 months, and Amelia Szoradi, 11.5 months, enjoy a party at the Yellowbrick daycare center on Tuesday for Halloween. 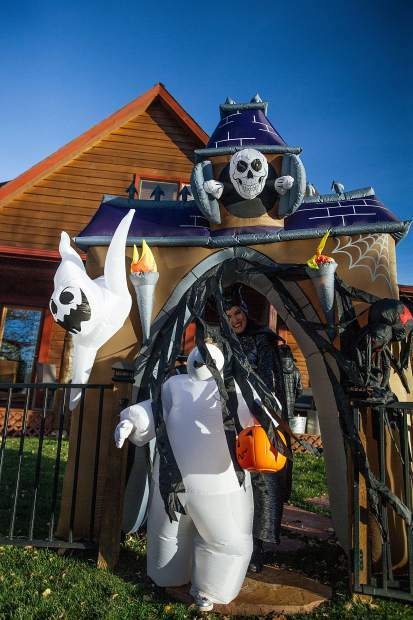 Kate McBride dressed as a ghost walks through the North 40 neighborhood on Tuesday trick or treating. 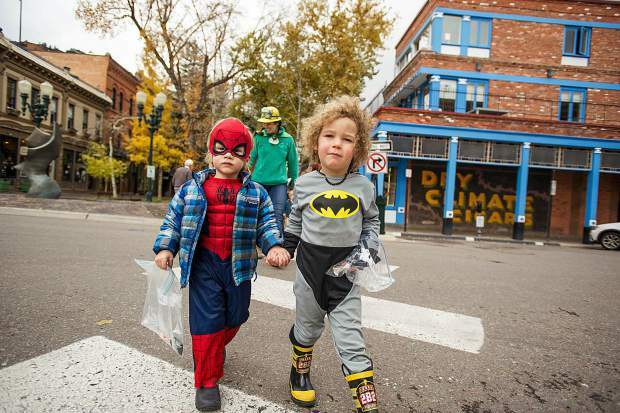 William Gaumer, left, and Tyson Forbes from Aspen Mountain Tots daycare parade through town in costumes on Tuesday for Halloween. 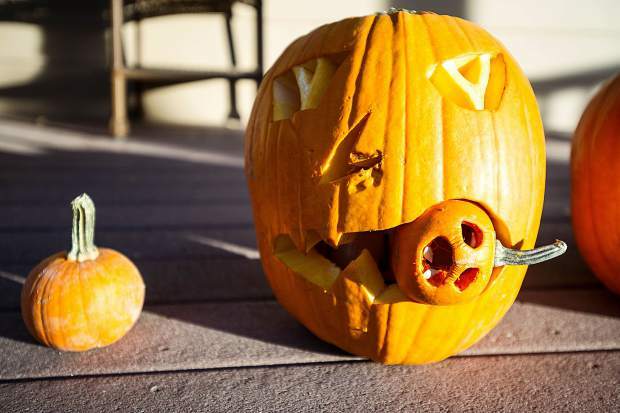 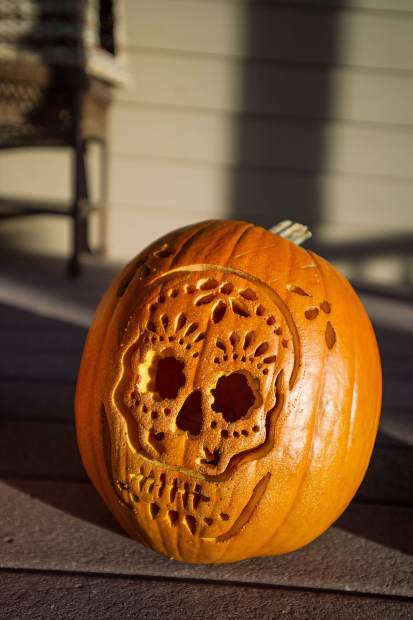 A "cannibal pumpkin" at the Hancock house for trick or treating on Tuesday in the North 40 neighborhood in Aspen. 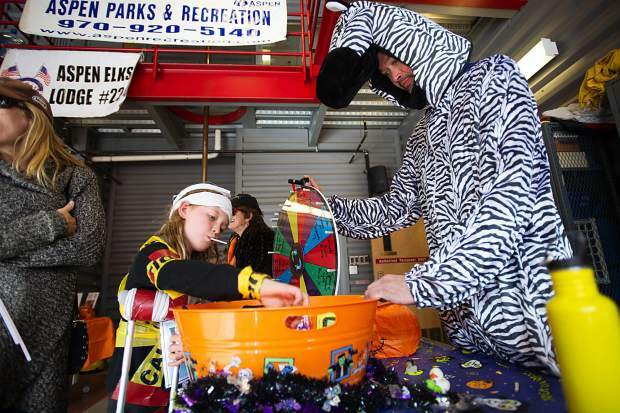 Snowmass firefighter Scott Arthur volunteers at the Aspen Fire Department "Boo Bash" benefitting the Elks Club on Tuesday for Halloween. 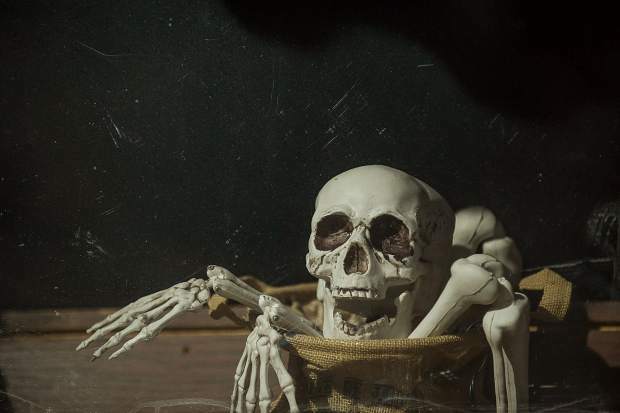 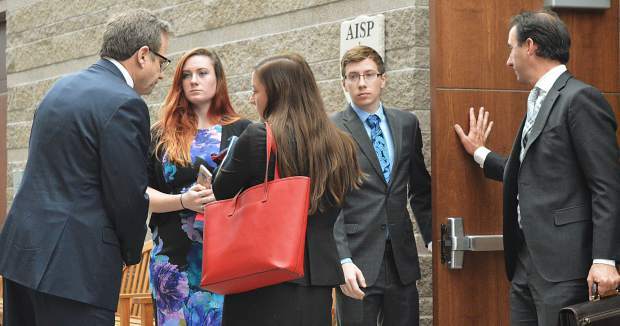 A skeleton in the window of Justice Snows on Tuesday for Halloween. 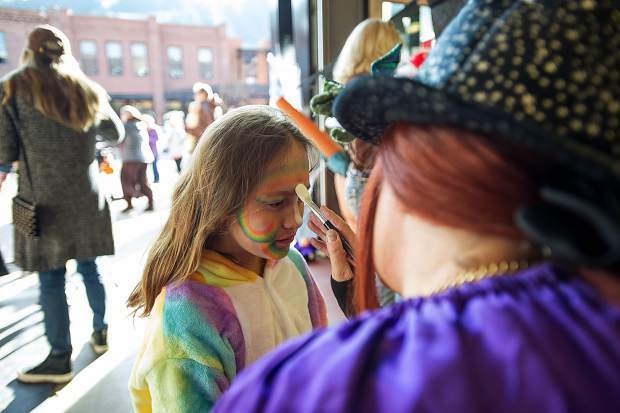 Layla Nott, 3.5, gets her face painted at the Aspen Fire Station "Boo Bash" on Tuesday. 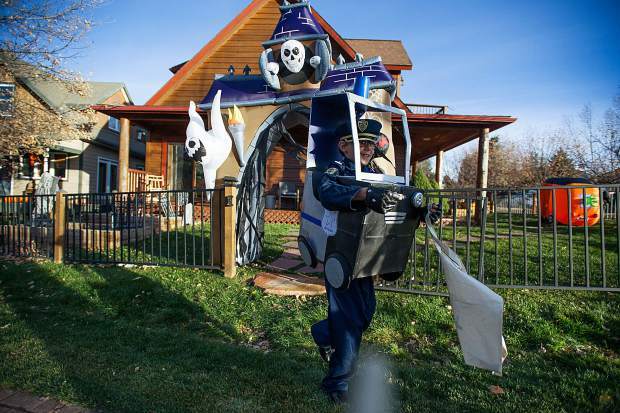 Cooper Strait, 8, runs out from trick or treating at a house in the North 40 neighborhood on Tuesday for Halloween. 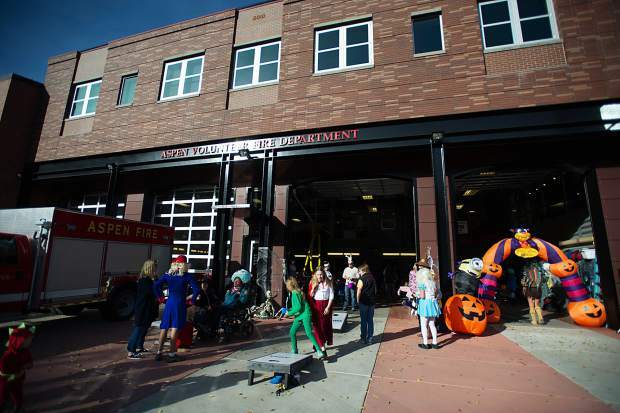 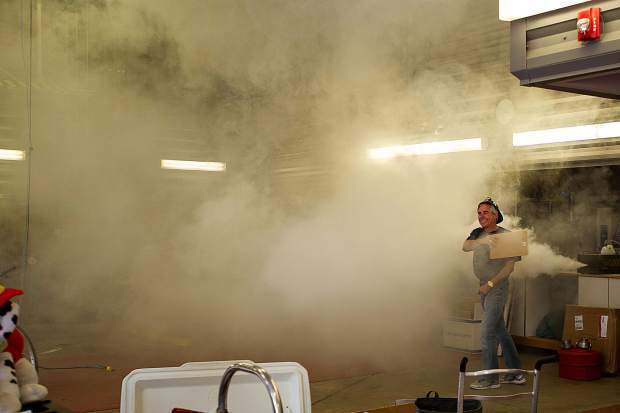 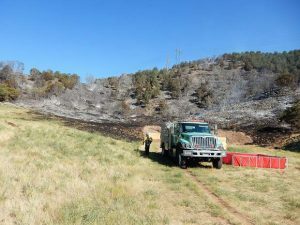 The Aspen Fire Department "Boo Bash" held on Tuesday, Halloween, for the sponsored Aspen Elks Lodge event. 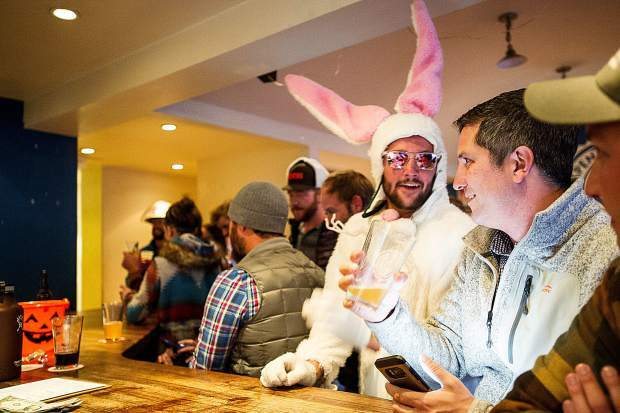 Sean Clark, right, and a dressed up bunny grab beers at Aspen Brewery's last night at their Hopkins' location on Tuesday. 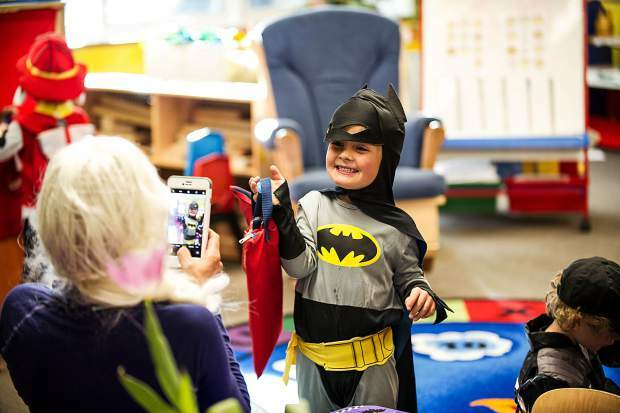 Merric Lutz-Sladdin, 4, poses for a photo with his new reading book bag on Tuesday at the Yelowbrick dayecare center for Halloween. 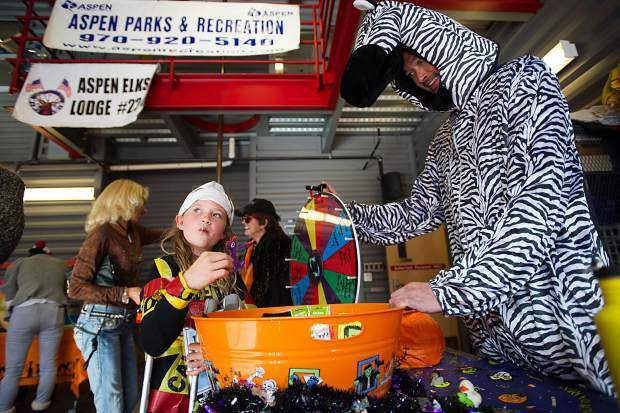 The "Boo Bash" halloween party was held on Tuesday for a sponsored event put on by the Elks Lodge. 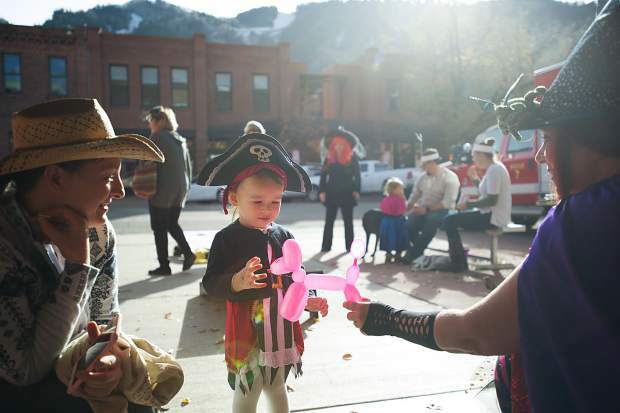 ‘Twas a cold, dark All Hallows’ Eve in the good city of Aspen filled with ghosts, goblins, skeletons and witches. 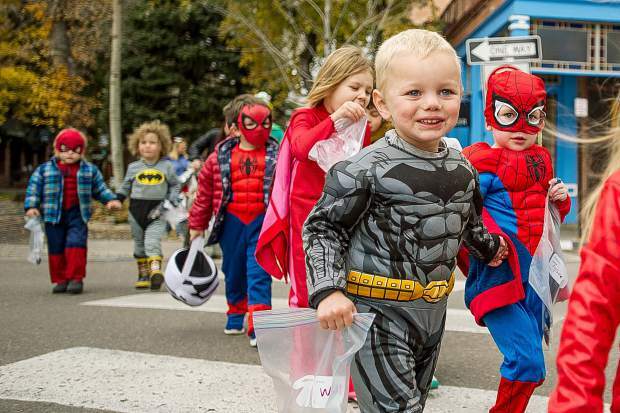 But the residents of the town weren’t frightened in the least as it seems there were superheroes to protect them everywhere they looked, and more than a few cute-as-could-be puppies warmed even the coldest of ghoulish hearts. 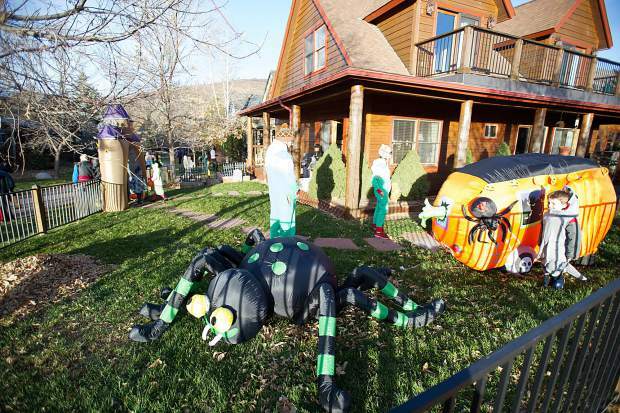 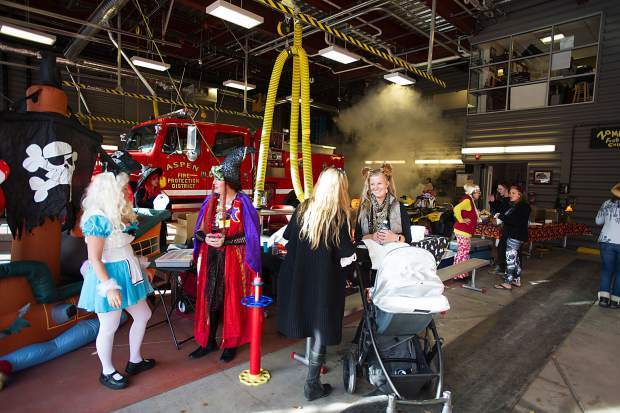 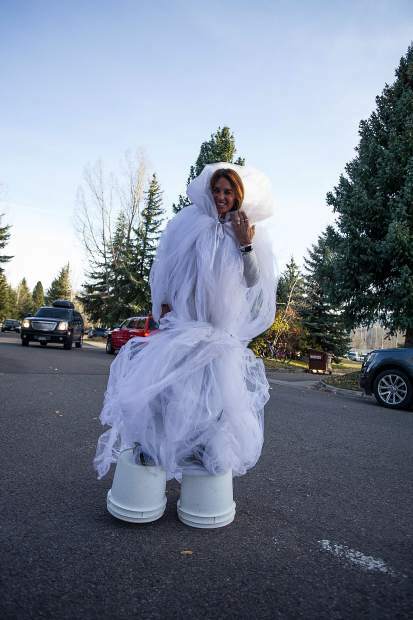 The Elks Lodge sponsored “Boo Bash” at the Aspen Fire Department hosted crowds of trick-or-treaters and their sometimes dressed-up parents, and the Aspen Mountain Tots daycare paraded costumed kids throughout the town. 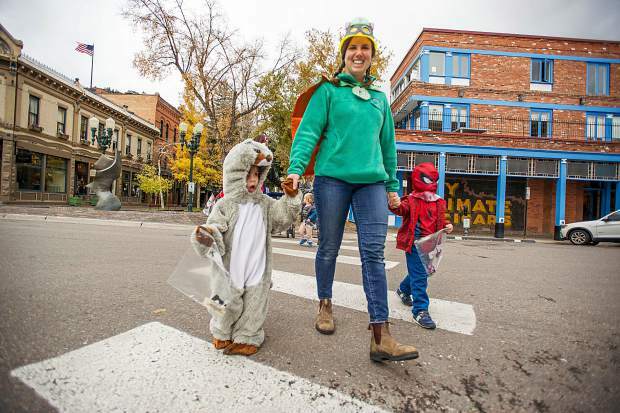 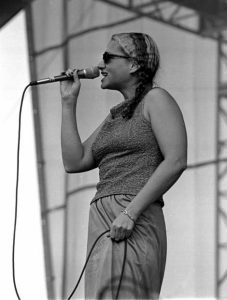 There were also several well-attended dress up events for adults, including Halloween parties at the Caribou Club and Hooch, and a Spazmatics show at Belly Up that included a costume contest.